Fujifilm has been making quality lenses under the Fujinon name for some time. 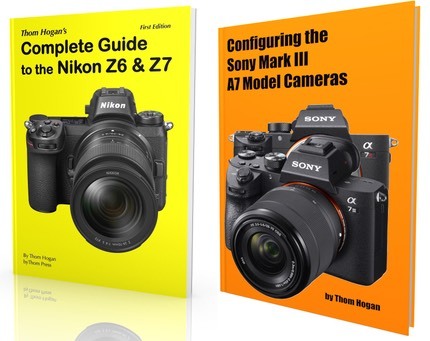 Most people buying mirrorless cameras may be unaware of that because many of those lenses have been for video and television equipment, while others were mostly for medium and large format cameras. Please note: a number of raw converters appear to be using Fujifilm-supplied lens correction information. What this does is to change vignetting, chromatic aberration, and distortion measurements from what the lens is actually doing. In a few places in my reviews I call this out, but for the most part I'll report what I saw with common converters. If you're just looking for the most minimal, all around kit, the 14mm, 18-55mm, and 60mm (if you do macro work) is all you really need. Those are three wickedly sharp lenses with few flaws. If you're a low light shooter, you're probably looking at the 18mm and 35mm lenses. But I think you really need to have that extra stop to stop stops of aperture to warrant purchasing those lenses, as they have more optical issues than the other three mentioned in the previous paragraph. Moving outside of Fujifilm, we also have two Zeiss lenses now, both excellent. I'd tend to prefer the Zeiss 32mm over the Fujifilm 35mm. The Zeiss 12mm is a really wide lens, so you'd better need and be able to use such a dramatic lens before considering it; the Fujifilm 14mm is already a handful and quite good.